Right on schedule, Apple’s new iPhone XR has launched at T-Mobile. 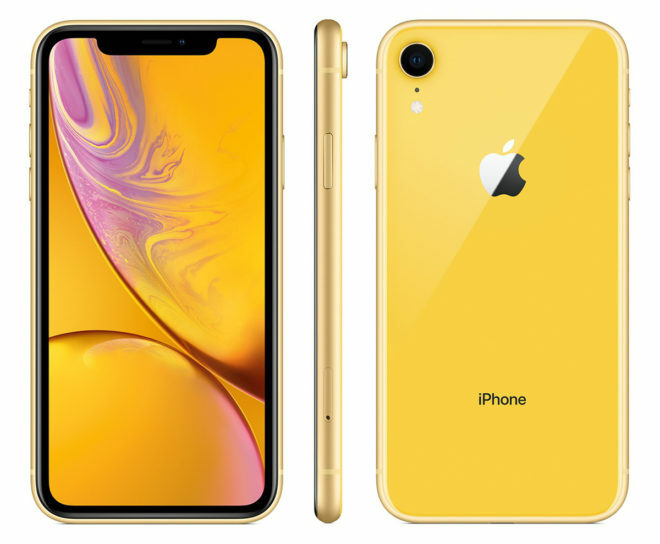 You can now order the iPhone XR in six colors: Yellow, Black, PRODUCT(RED), Coral, Blue, and White. Storage options for the new iPhone include 64GB, 128GB, and 256GB. As of this post’s publication, nearly every color and storage option is in stock and ready to ship, save for the 64GB Yellow version which is estimated to ship between 11/23 and 12/10. The iPhone XR features a 6.1-inch 1792×828 LCD screen that, like the iPhone XS and XS Max, has a notch. While the XR doesn’t have quite as nice a display as the XS and XS Max, it does have the same A12 Bionic processor as its flagship siblings as well as features like Tap to Wake and True Tone. It’s got the same 7MP front-facing camera as the XS and XS Max, too. Around back, the camera setup is a bit different. The iPhone XR has a single 12MP wide angle camera which is the same sensor used on the iPhone XS and XS Max, offering an f/1.8 aperture, OIS, Smart HDR, and Portrait Mode. The XR does not have the second 12MP telephoto camera found on the XS and XS Max, though. Apple has also crammed Face ID into the iPhone XR as well as dual SIM support, which uses an eSIM and will go live later this year. 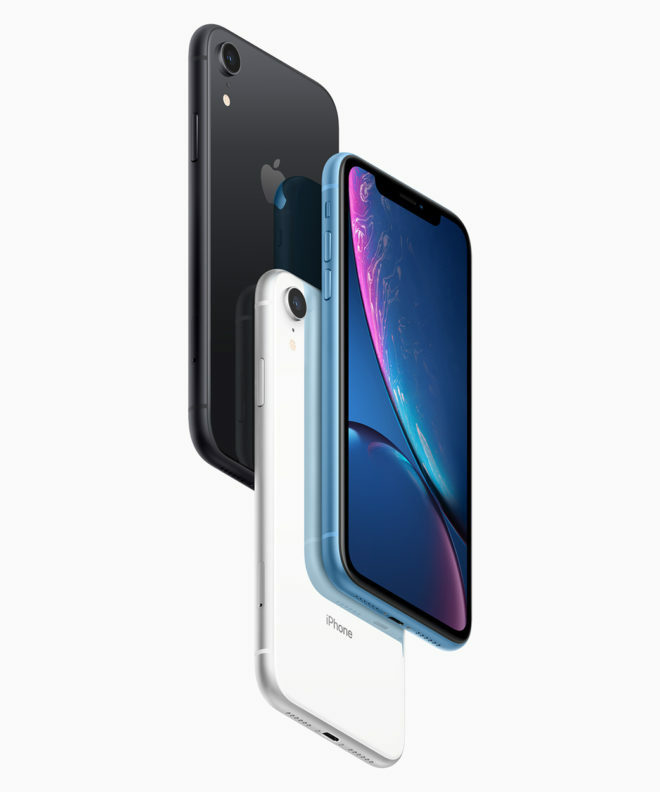 The body of the iPhone XR is IP67 rated for water and dust resistance. One other detail worth mentioning is that, like the iPhone XS and XS Max, the iPhone XR includes support for T-Mobile’s 600MHz LTE coverage. This 600MHz LTE coverage reaches farther and is better at penetrating buildings than mid-band LTE, and it’s available in more than 1,250 markets. The iPhone XR’s full list of supported LTE bands includes 1, 2, 3, 4, 5, 7, 8, 12, 13, 14, 17, 18, 19, 20, 25, 26, 29, 30, 32, 34, 38, 39, 40, 41, 66, and 71. Have you bought an iPhone XR or spent some hands-on time with one in a store? If so, what do you think of it? When I saw the phone, I thought it was the note w/ that background and the yellow color. Hate to admit it, I’m joining the dark side and getting my first iPhone. Taking advantage of the trade in for my LG V30, which I love, but for 49 down and 10 dollars a month for 36 months, hard to pass up the 128GB Red Xr. Now I need to snag a deal on the series 4 apple watch. Looks like delivery set up from Monday, Oct 29th on my UPS app, but haven’t heard from T-Mobile or ship date other than 10-26 to 10-29. Welcome. Prepare to get a lot of hate online. Beacons of light always attract the bugs. I only hate what you get for your money. Software is a personal choice. I love how every stroke just registers when typing on the iPhone. Never used a mobile keyboard more accurate. With my Galaxy S9 I was constantly typing errors and not every finger touch would register. I swear the default Samsung keyboard was made for the Korean language first as it would often predict wrong words or phrases. I downloaded SwiftKey by Microsoft which was a little better but still prone to daily error. On the XR Face ID unlocks effortlessly even when I’m wearing glasses or in low light. On my S9 trying to unlock my phone with my face would rarely work and I’d be forced to use my PIN or pattern to unlock even in the best of lighting conditions. It’s the little things that you only notice when you use the two platforms side by side in depth. You had a combination of a hardware and software issue. TouchWiz despite additional functionality causes stuttering and starts and stops you just don’t realize until you’re out of the Samsung environment. Even low and mid range Motorola handsets don’t stutter, and they cost as little as $200 unlocked. I tried to like iOS. Spent weeks with it. Unfortunately I had the stock Android experience first and could never adapt to doing things Apple’s way or not at all. Don’t forget the new iPads coming out this week. You gotta get that along with your new iPhone and the watch. Getting the new Mac book Pro’s will be great too. The display looks great. A lot of bloggers were complaining that because it is LCD with a low PPI that it would be bad but I’m pleasantly surprised how sharp and crisp it looks. Apple really did a good job making the Retina LCD look better than any previous one they’ve used. You’ll notice this especially around the edges. LCD’s have a single backlight by design and I’m willing to bet that any other OEM would make this type of display look bad. Apple made it look fantastic and you can tell they put a lot of effort into it. In a $750 device no corner had to be cut. As long as you don’t the compare the display with XS side by side, then yea it’s great. I have to say really temped to get this phone,1st time I am ever really interested in Iphone,but the deal with Samsung for the Note 9 is too good to pass up,maybe in 6months,or same time next yr.when Apple bring out the next model of this phone. The one I don’t understand is when Lg,Samsung,bring out there phones in different colors,Tmo,only get them either black,silver,or white,Apple they get all the colors,doesn’t make no sense to me. I bet the next 2 year this phone will pretty much be the same with some exception such faster processor. What deal on the note 9? They will give you up $600.00 off the note 9,S9,S9+ with a trade in. All depends on what phone you have. Trading in s8,I got off of swappa. Also they are giving away VR gear for free with it. Getting 128 gig one for $665.00 plus taxes. I paid $708.00 for my note 3. LoL,just go to Samsung site it will show up. Not in bill credits either. A real trade sale. Not like Tmo,those endless bill credits. Solid device display looks great. iOS12 & 3rd party apps run smooth outstanding performance that I haven’t found with high end Android. Only things that bug me is lack of battery % indicator in status bar. No fast charger included in box. Other then that , I’m pretty happy with XR will keep. You haven’t tried a OnePlus 6 then. 100% China company packing dirty chips. Company Name – China , China design & China built = 100% China. They’ve been busted using dirty chips in their products. Yes , China got away with putting dirty chips in macs due to Apple QC failure. Once discovered Apple put stop to it. If they slack again I won’t be buying their products. Yeah I’m getting use to it. How does the trade in work if you order online? And my iPhone 6s has a hairline cracked would they still accept it? Tmobile site should have that information,or just call 611,go to a store and show them. I agree with the previous poster to take it to a store.